There are oodles of different slot machines out there. Some of them brilliant, others not quite so much. Now, we know the reason most of you are playing slot machines. It is the fact that you want to have some fun while winning some cash. In fact, the latter is probably the most important to you. That is why we decided to compile a list of some of the highest paying slot machines in the world. These are games where your chances of winning are higher than anywhere else. Before we dive into that list, however, we want to talk a little bit about what makes a high paying slot machine…high paying! How Do We Determine What a High Paying Slot Machine Is? To determine what a high paying slot machine is, we look at something known as ‘return to player’, or RTP for short. This is the amount of money that (as you may have guessed), gets return to the play. Let’s say the RTP on the machine is 98%. For every £100, you can expect to get £98 back. Now, obviously, it is not going to completely pan out like this. Some people are going to make a profit, others are going to make a loss. The RTP is the ‘average’ over all the players that are playing that game. Of course, the higher the RTP is, the more chance you have of winning. We recommend that you look for slots with a minimum 93% RTP, although the higher, the better. You will notice that many of the slot machines that we cover on this page are going to be more than 97%. It is worth noting that the ‘branded’ slots tend to have a lower payout rate. This is because the slot machine designer needs to cover the cost of the licence. 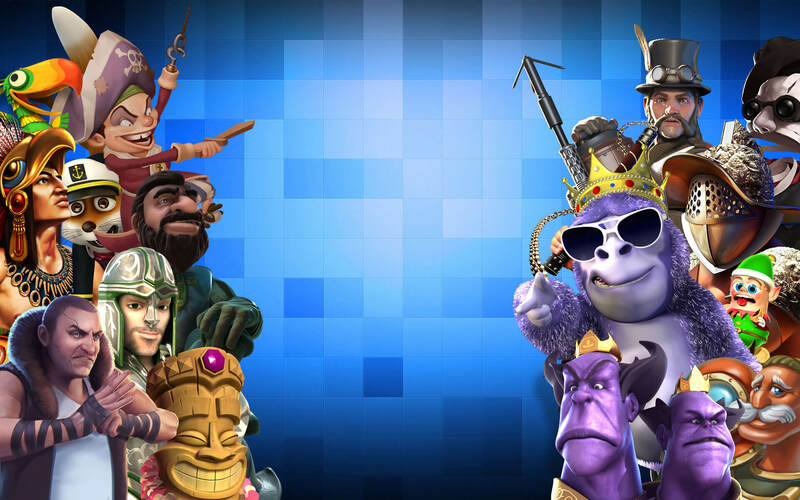 As you go through this list you will notice that many of these games are ‘unbranded’ slots. You may not even have heard of most of them. Don’t worry, they are all great! 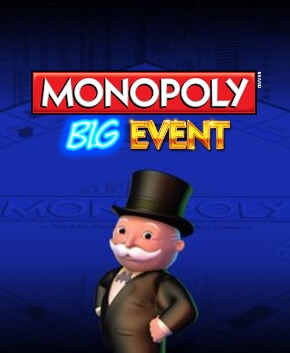 If you wish to enjoy the 99% RTP that Monopoly Big Event boasts, you are going to need to play in the ‘big bet mode’. This is where you will need to plump up a minimum of £30 for five ‘’enhanced spins’. The RTP when you are veering away from ‘big bet mode’ is a little bit lower. The potential to win here is massive. It is not going to be a slot for those ‘low rollers’ with the minimum bet of £30, but you should be able to get a reasonable proportion of that. The game does throw in free spins, so you may end up getting more than those 5 spins for your money. A fantastic slot, especially for those who love a traditional game of Monopoly! This is about as classic as online slot machines get! 5 win lines, fruit and bell symbols, you know the drill. 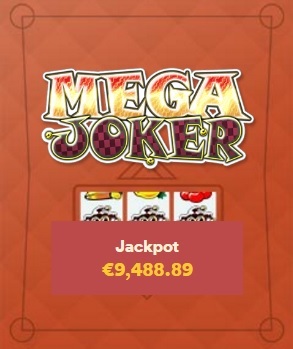 Mega KJoker Slot is a perfect introduction to the world of online slots for newer players. This is also another slot where you are only going to be able to enjoy the massive RTP if you are betting during a special game mode. In Mega Joker Slot, this is known as ‘supermode’. Bets are slightly higher than the normal game, but the chances of winning are going to be massive and are well worth bet that mich higher as it could really pay off. If you want a gorgeous-looking slot machine, one which is definitely uniqoue, then 1429 Uncharted Seas Slot is the route to go down. 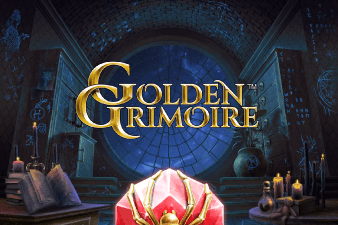 This game boasts a free spins game, expanding wilds, and of course what we're all interested in here: massive payouts! The best part is that with 1429 Uncharted Seas slot, you do not have to worry about betting in a special game mode to enjoy that high RTP. You will be able to enjoy that 98.6% betting a minimal amount. 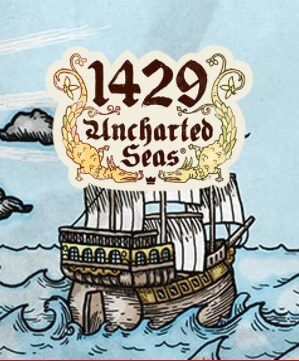 The reason for this is because 1429 Uncharted Seas is a game from Thunderkick, a little lesser known Swedish games company who are renoned for their higher than average RTP % slots. This vampire-themed slot machine from NetEnt boasts a massive 98% RTP. For this reason, and the fact it's a "forst generation" Netent slot means it's actually one of Netents most played slot. 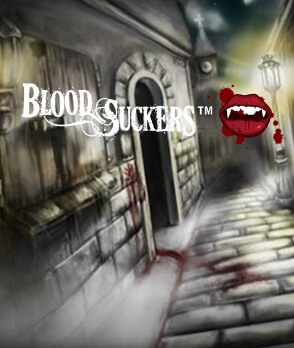 Design wise, it does look a little classic, dare we say dated if you compare to newer slots especially Bloodsuckers 2 (which doesn't have a higer than average RTP %) but that's also the beauty of this game. 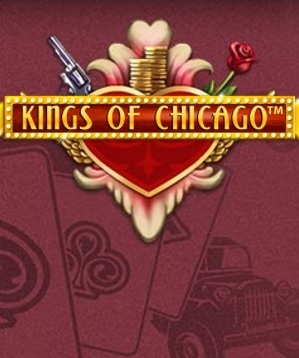 An awesome themed online slot if ever we saw one, Kings of Chicago Slot game is themed around the 20's Gangster Chicago and adds extra drama from it's hIgher than most RTP %. This is a slot machine which has 5 win lines. One of the things we love about this game is the fact that it awards wins in a slightly different way to other slots. 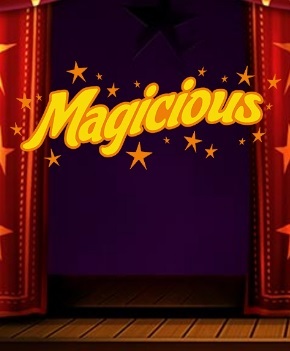 Magicious is a simple slot machine which is designed with 10 win lines. This is very much a ‘beginner’s slot machine’ athough at the same time, it's interesting as it's uniquely deigned. This slot is a great introduction to the world of expanding and sticky wilds. The gameplay is very fast and it works astonishingly well as a mobile slot machine. 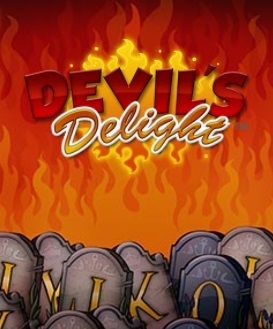 The high RTP in Devil’s Delight is all down to the Sin Spins bonus. This is a feature which allows you to play until you win some extra cash. This slot is themed around the ‘Day of the Dead’ celebration from Mexico. It's actually brilliant. Icons on the reels are cartoony skeletons and the soundtrack is supplied by a fantastic Mariachi band called "The Boners". The great thing about this slot is the high RTP is down to some massive multipliers. The wilds can also give you a multiplier of up to 32x! Trust us, when you get a multiplier this high, you are going to be ecstatic! 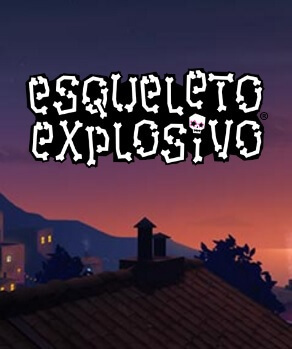 Another top game from Thunderkick, if you're looking for the highest paying slots, then don't overlook Esqueleto Explosivo! 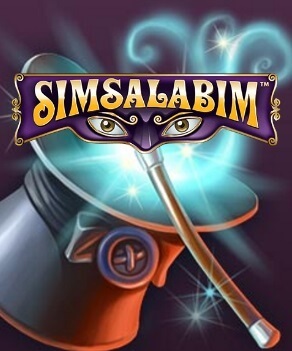 If you like Netent slots, with a high paying rtp, and you also love a magic show then Simsalabin slot is the way to go. With a whopping 97.5% rtp, this game is bursting with some serious win potential. There is a nifty little feature in Simsalabim which offers up to 200x your initial bet return. We are going to wrap up this list with an aesthetically-pleasing game from Thunderkick games again. 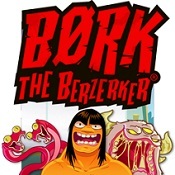 Bork The Berserka is an interesting name, when you load up Bork The Berserker, you'll instantly see from where the name derives; Bork can get a little crazy sometimes, but in this game, it'll actually help you! Expanding wilds and free spins will offer you most of your wins here. Couple the fantastic wins with the brilliant theme and you have a game which is truly awesome.